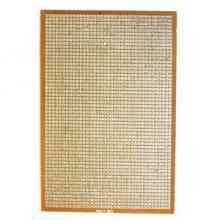 The worst thing about paper passport is of privacy paper passport do not provide privacy, identity can be revealed to anyone who can physically access the passport and the cases of identity theft, data modification is done for duplicity. There is a great increase in the drug couriers and illegal immigrants doing it with photo swiping or look-alike fraud is using genuine documents. Overcoming all the problems the RFID based passport verification system is done nowadays. 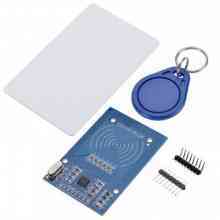 RFID system is the automated system where passport holder is authorized through RFID technology the passport holder has the RFID tag which has all the basic and genuine details like name, number, nationality of the individual the tag is swiped on the RFID reader and information goes to microcontroller if the data scanned matches with the data of microcontroller then it will display a confirmation message or otherwise it will be a denial. 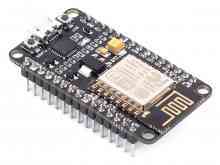 NodeMCU is an open source IoT platform, which comes with esp8266, cp2102 chip, built-in micro-usb, with flash and reset switches. 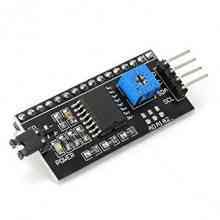 It includes firmware which runs on the ESP8266 Wi-Fi SoC from Espressif Systems, and hardware which is based on the ESP-12 module. I2C Lcd Display is another great Iic/I2C/Twi/Spi Serial Interface, as we know that the Pin Resources Of Arduino Controller Is Limited, and your Project may be not able to use normal LCD shield after connected with a certain quantity of sensors.We can adjust the backlight and contrast potentiometer. ESP8266 is a remote serial port Wifi wireless module, with integrated TCP/IP protocol stack also it contains TR switch, balun, LNA, power amplifier and matching network. 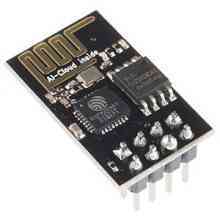 This small module allows microcontrollers to connect to a Wi-Fi network and make simple TCP/IP connections using Hayes-style commands.